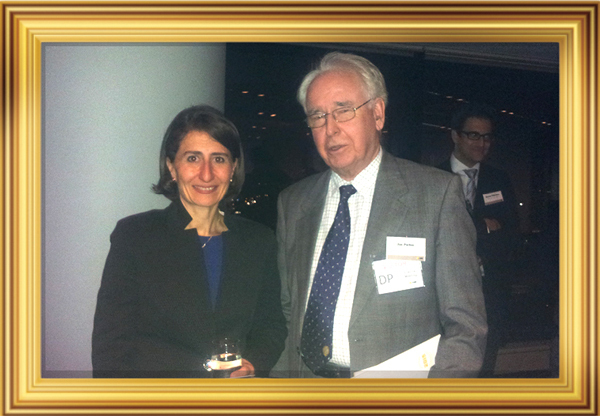 On January 19, 2017 Gladys Berejiklian was the name on everyone's lips to replace Mike Baird as the NSW Premier, after his shock announcement about retirement. Today, Gladys is well and truly entrenched in her new role as the state's second-ever female Premier. Hang on, but who is the celebrity rubbing shoulders with fame? Could it be our CompalsNB Trainer and retired Treasurer Jim Parker, never shy of a photo opportunity. You can never foretell the future Jim! Welcome to the start of Term 1, 2017. You will notice many sessions/courses available that should be entered in your diary for the start of 2017. Some need to be booked early as there are limited spaces. Please also note the activities for the Seniors Festival commencing early March 2017. It looks like another busy beginning of the year. Enjoy. Two Welcomes. 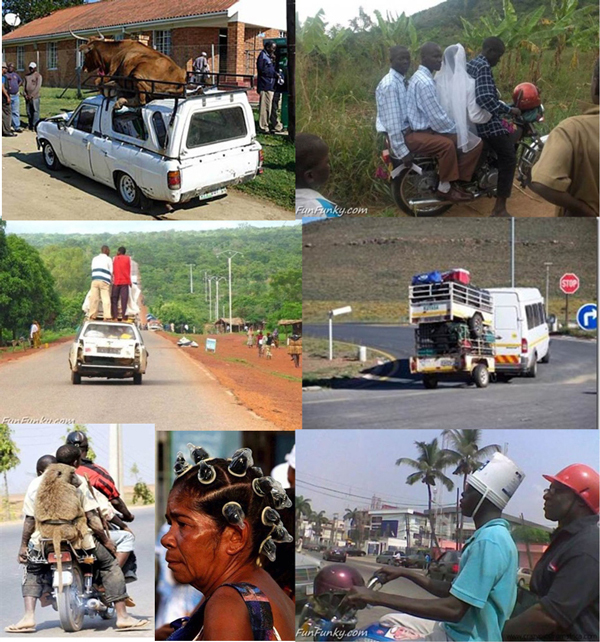 One with a difference! First up let's talk about the weather. How hot is it?! We are hearing about historically high temperatures never recorded before in Sydney. 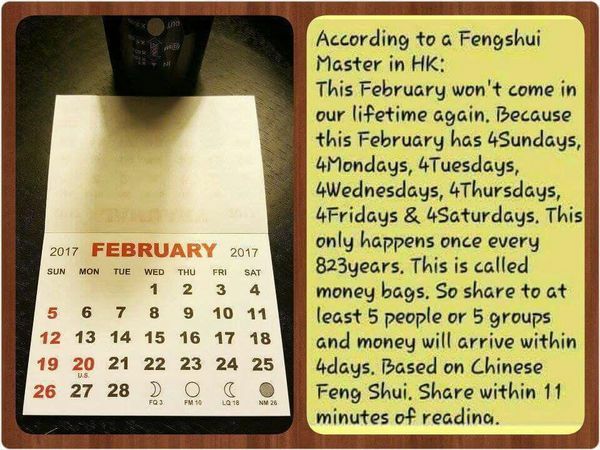 Do we hear as high as 37 degrees Sunday 5 February, 2017! So we can all be excused for being mentally and physically exhausted and feel relaxed in the understanding we are not on our own! 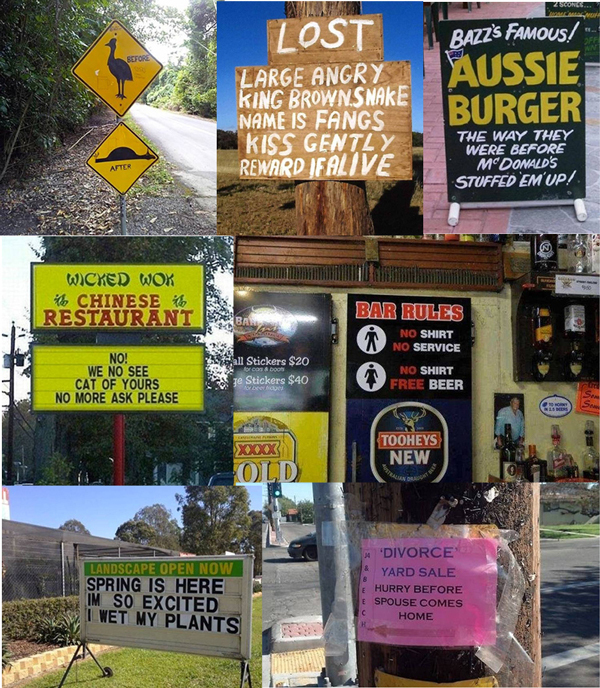 Next, who in Australia cares about the Super Bowl? Well, Monday 6 February, 2017 the game brought in an average audience of 111.3 million viewers for Fox with the Patriots make the largest comeback in Super Bowl history. Lady Gaga kicked off her epic Super Bowl performance on the roof of the stadium in a dramatic halftime show. She opened her set with a plea for “liberty and justice for all”, before making a death-defying leap onto the stage below. It was almost more of a stunt show than a pop show. Oh, and let's not forget the actual NFL match, too! 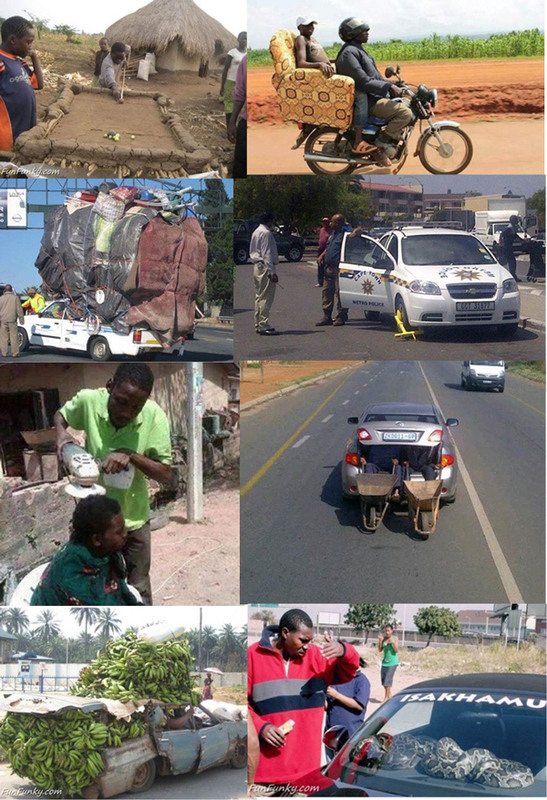 What do they say “Only in America”. 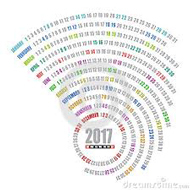 CompalsNB's first day back was Monday 30 January 2017. We hope those returning and all our new members are refreshed after the Christmas, New Year break. We will remain in the Meehan Room at Dee Why RSL until notice is given to us by the Northern Beaches Council as to when the Tramshed will be ready to be occupied. Who is experiencing slower internet speeds at home as compared to previously? 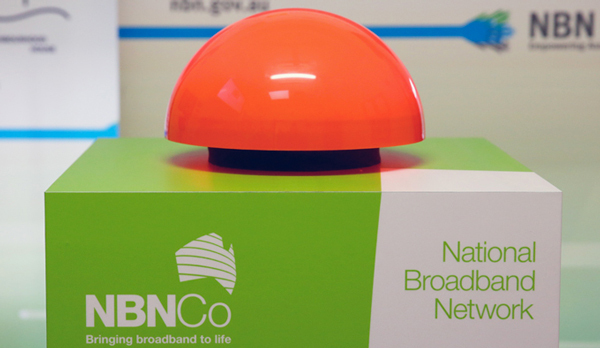 Who is unsure about the switch to NBN? Well, you are not on your own. Dee Why RSL are experiencing gremlins in their internet connections and are on the case and on Valentines Day, Monday 6 February the internet will be “up to speed”. As far as our choice of switching to the NBN many of us on the Peninsular attended an excellent event at AVPALS outlining the technical differences between the various options for the connections. Please be assured, maybe overtime, we will catch up with the rest of the world with some kind of fast internet connection which means speedy uploads and downloads. Does anyone out there know the economical answer? 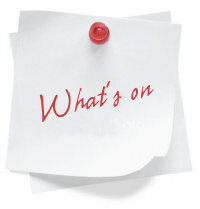 Please take a look at all the training courses on offer outlined in this newsletter. We certainly will have no excuse for not starting to become tech savvy this term. Next month in March the Seniors Festival for 2017 commences. ComplasNB has two planned sessions at Dee Why RSL. Our first session titled “Savvy Seniors – Keeping Up with the Grandkids in the Digital Age” we are asking for your assistance. 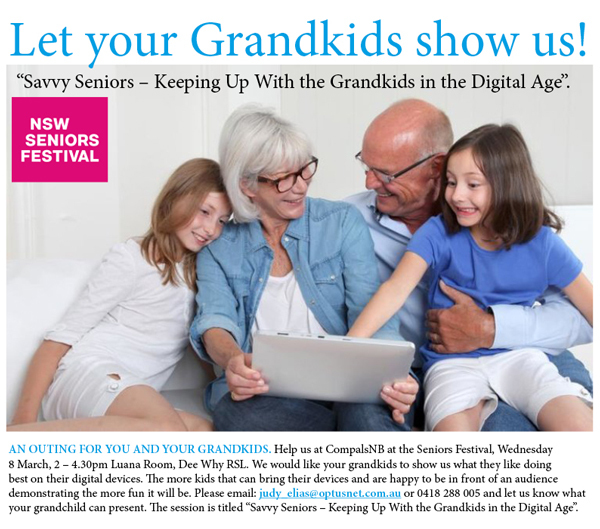 Please help us by joining in and asking your grandkids or even their school to demonstrate in front of an audience at our Seniors Festival event their favourite apps and devices. Full details are in this newsletter and also you can contact judy_elias@optusnet.com.au or phone 0418 288 005. It will be a fun and exciting event for all to join in if you want. There are sooo many activities and events scheduled for the Seniors Festival both on the Northern Beaches and everywhere in NSW. 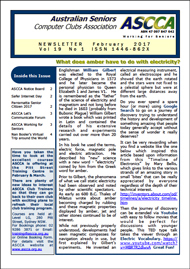 Please see the articles in this newsletter and click on the links to download the info and also visit the websites. That is all for now but just a friendly reminder to remember the joy of Valentines day approaching Tuesday 14 February. 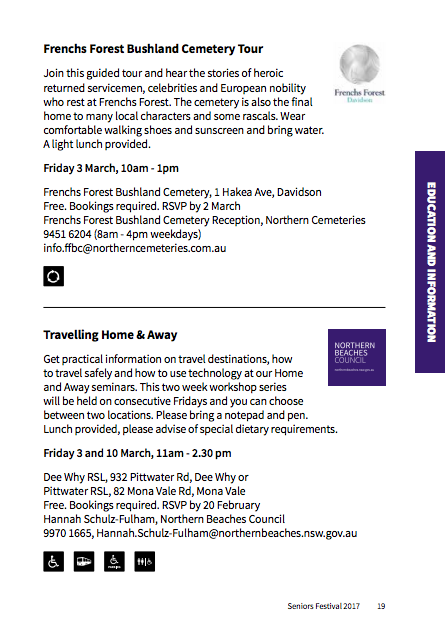 2017 Seniors Festival - "Savvy Seniors - Keeping up with the grandkids in the digital age"
2017 Seniors Festival - "Travelling Home and Away"
'The Digital Swiss Army Knife'. 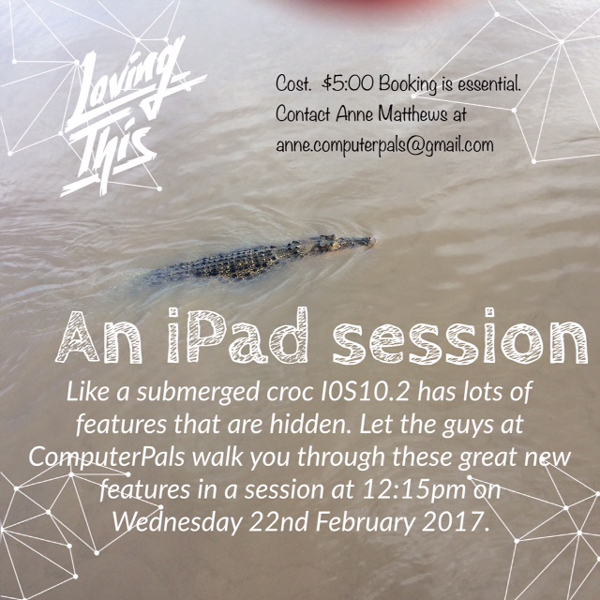 A special session invitation from Manly Computer Pals, Thursday 9 February, 2017 at 2pm, Manly Library. Facilitated by Bob Bellini. All about smartphones. A great opportunity to learn all about the myriad of features on offer with smartphones and an added bonus of catching up with ManlyPals members. Fairfax building at Level 2, 1 Darling Island Rd, Pyrmont. We need your Grandkids' HELP for the Seniors Festival 2017. 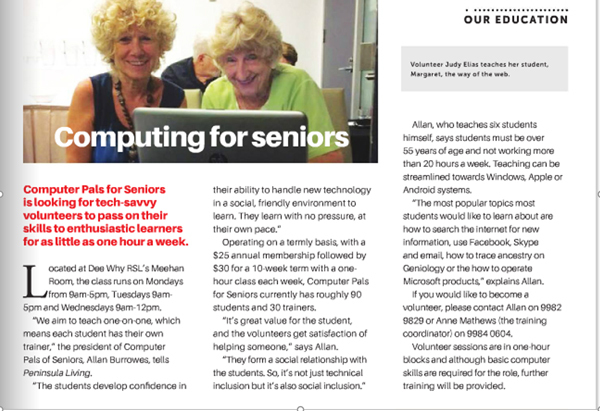 "Savvy Seniors - Keeping Up With the Grandkids in the Digital Age"
Help us if you can. We intend to showcase a number of schools with their students. Whether they come accompanied by their grandparents, parents or teachers. All are very welcome. Let the children demonstrate in front of an audience what they like doing best on their digital devices. Please ask their school for their help and permission. It is a wonderful opportunity for seniors, children and teachers to interact. A great outing for you and your grandkids. 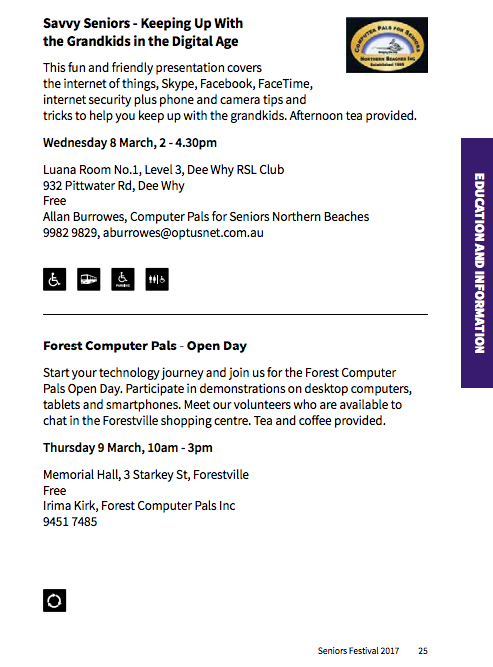 The Seniors Festival event is titled "Savvy Seniors - Keeping Up With the Grandkids in the Digital Age". Wednesday 8 March, 2pm to 4:30pm at Luana Room, Dee Why RSL. Please contact Judy Elias to let us know if your grandchild can help at: judy_elias@optusnet.com.au or 0418 288 005. How to use technology whilst travelling e.g apps, smartphones, iPads etc. Take a look at all the activities this year on the Northern Beaches for the Seniors Festival 2017. Take a look at all the activities this year in NSW for the Seniors Festival 2017. The myMoves Program is a new and innovative self-management program that has been designed to provide good information and to build the skills that allow seniors living with a chronic condition to create an active lifestyle that is right for them. It is a program delivered via email and telephone with support from an experienced physiotherapist. 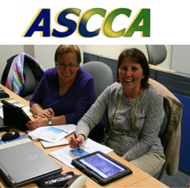 Participation in this course is entirely free to participants. Three trainers left at the end of last Year, Clarissa Brum, Aislinn Mckeever and Malcolm Raymond. They will be missed. Two new trainers this term, Paul Stokes and Lilia Hutchinson. Paul is taking one student to start with and Lilia two students. Great to have then on board. We thank Peninsular Living and Allan Burrowes for the wonderful advertorial in the January 2017 Educational lift-out of the publication Peninsular Living. Anne Matthews is currently interviewing potential trainers as a result of this successful article. 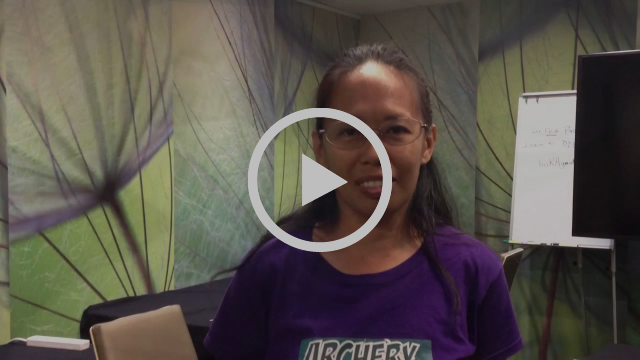 Not only does Lilian specialise in IT as her preferred profession but for relaxation Lilian and her daughter are star archers. 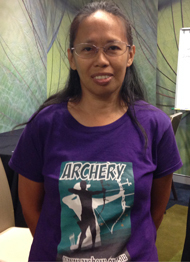 Warringah Archers Club at Cromer Heights have won several trophies with them both as star players in competition wins and they both have achieved individual wins with a mantlepiece of trophies and medals. Please make Lilian welcome and please, if you hear of an IT, Programming, Marketing or Language position available in the job market Lilian would be interested in exploring its opportunities. 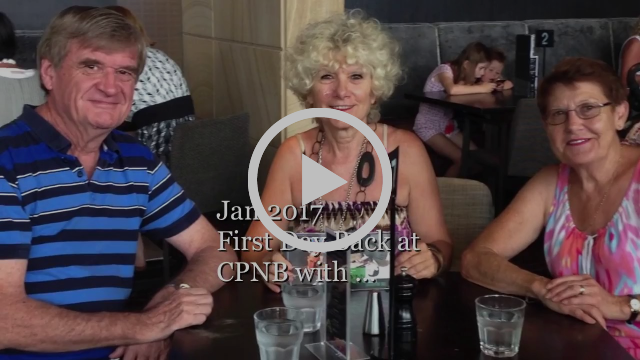 At our first CompalsNB meetings Wednesday 1 February 2017 in the Meehan Room, Dee Why RSL. A warm welcome to one of our new trainers Lilian Hutchinson at our Trainers Meeting and for the second welcome, and nowhere as warm arriving at our Committee Meeting … an incy wincy spider!!! 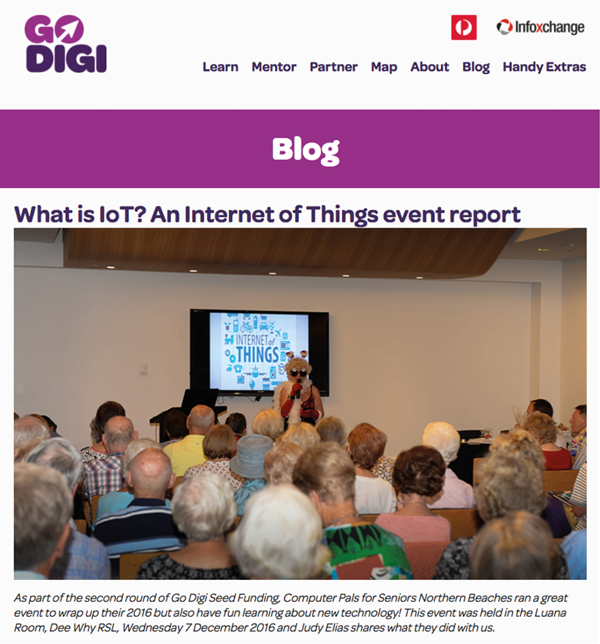 Go Digi, CPNB, Dee Why RSL all collaborate to assist with an IoT event. Enjoying a lunch at the Aqua Bar, Dee Why RSL and then a special outing to an AVPALS NBN session. Our first day back at CPNB 2017. At AVPALS we were introduced to the best presentation/outline of their upcoming courses for the first semester 2017. Then the BIG one “all about the NBN” a presentation by Michael Tyler who is the Community Affairs Manager for the Northern Beaches region. 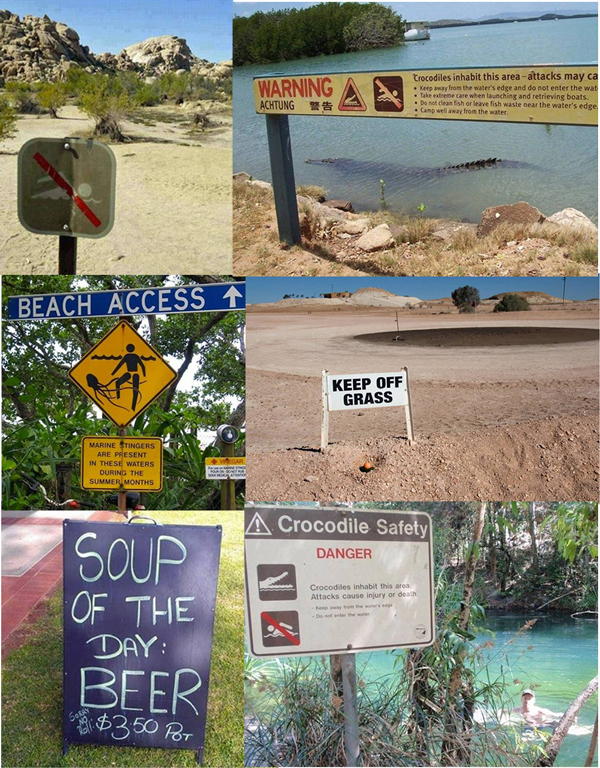 Gosh, you would have to be there to understand the complexities. I am so glad my students and I had the opportunity given by AVPALS to introduce us to the NBN, all for FREE! John Joseph Therry was born in 1791 in Cork, Ireland. He was ordained to the priesthood in 1815 and was appointed by the British, on the motion of Earl Bathurst, to travel to the new colony. A stipend of 100 pounds per annum was set. He arrived in 1820 with Father Philip Conolly who went to Van Diemen’s Land and Father Therry remained in Sydney, the only Roman Catholic priest for the whole of the colony. Here’s a look at some great tricks that you might not be aware of that VLC can do on Windows or Mac. Here's how to take a screenshot anywhere — even when they're blocked. One of the handiest features of the Photos app (which replaced iPhoto in 2015) is its ability to automatically sync with your Photo Stream. 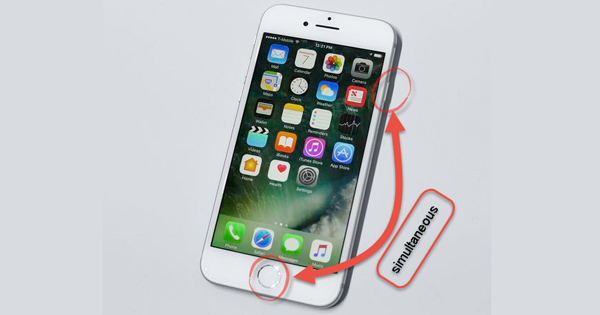 As long as you have Photo Stream sharing enabled on your iPhone, you never have to plug in your phone to your computer in order to import your pictures to Photos. 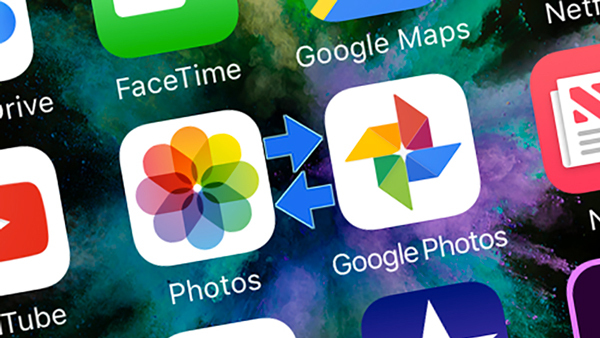 A look at how to migrate from iCloud Photo Library to Google Photos while at the same time keeping local backup copies. Remember, before you start removing anything from your iCloud Photo Library, make sure you have safely backed up your photos and videos elsewhere. For a lot of people it might be better to have a foot in both camps, at least for some photos or for some of the time, but for simplicity's sake we won't go into every possible scenario here. You can in fact use these services alongside each other pretty easily, but in this case we'll tackle going from one to the other wholesale. 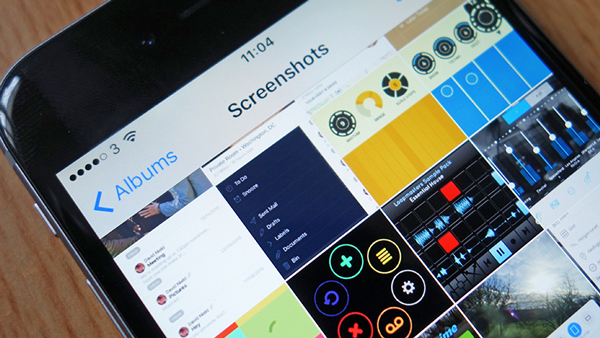 Taking a screenshot on your iPhone or iPad is extremely useful for a million different reasons. For example, while streaming music on Pandora or Amazon Music and a new artist comes up that I really like, I’ll take a screenshot so I can later go back and find more music from the artist. 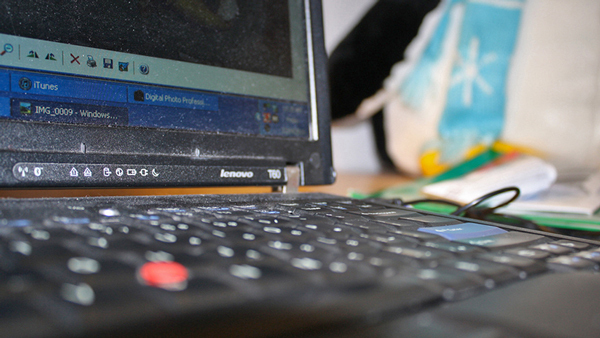 In previous versions of Windows, you can take a screenshot by using the PrtScn key. 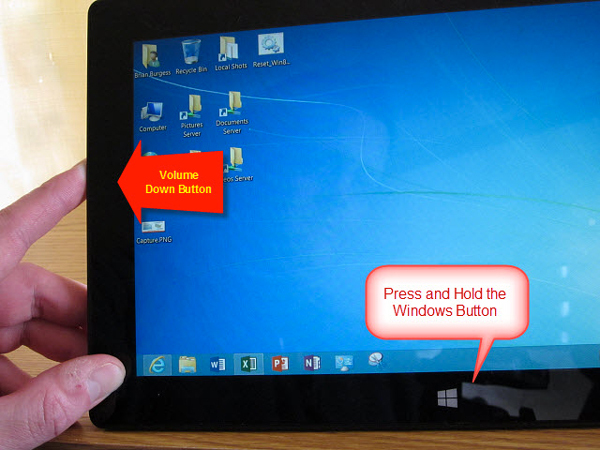 This option still works in Windows 10 which will take a shot of everything on the screen, copy it to the Clipboard, and then allow you to paste it into a program such as Microsoft Word. 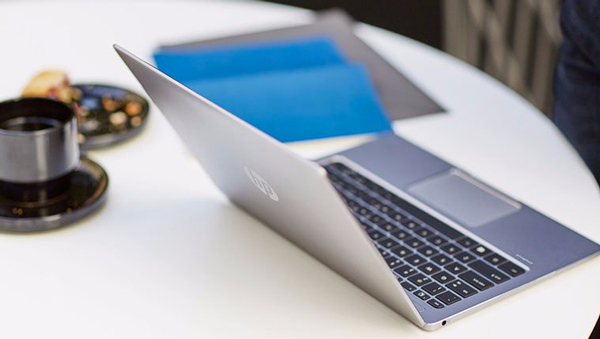 Buying a laptop on a budget is hard. There are endless options, hardly any of them are ever advertised, and they flood you with technical details that aren’t easy to understand. 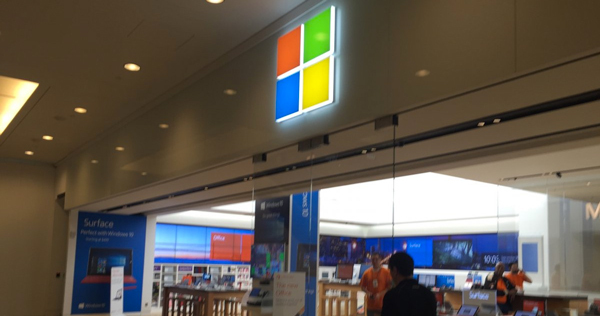 If you’ve only got, say, $300-600 to spend, you’re walking into the tech equivalent of a minefield. I’m trying to buy a laptop for myself. Nothing too fancy; just something on which I can play some games and watch some movies when I’m not using the MacBook Air given to me by work or testing out loaner laptops for review. 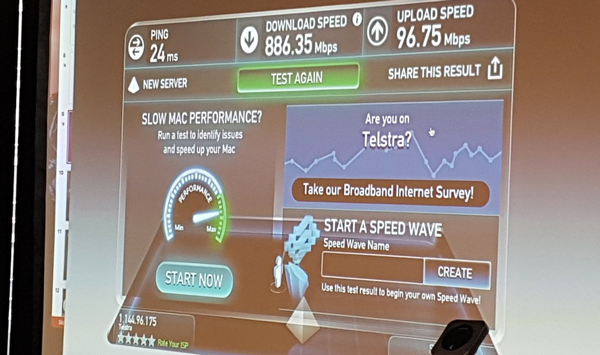 SYDNEY — Mobile internet has overtaken the NBN on peak speed, with Telstra today launching the world’s first Gigabit LTE network. 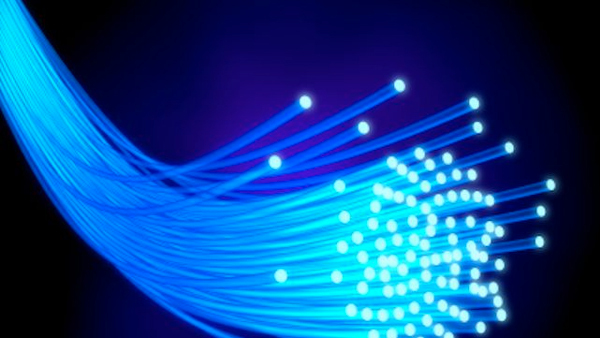 Lobby group Internet Australia says a report produced by Western Sydney University - and commissioned by NBN - highlights the need for "an urgent change in our broadband strategy." Namely, we need to scrap Fibre to the Node, and switch to Fibre to the Distribution Point. In December, the NBN announced that 525,000 premises would receive fibre all the way to the driveway. Now it has been revealed which suburbs will be the first to get the new technology. 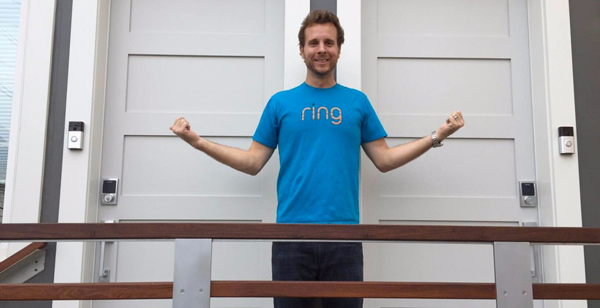 In September 2013, Jamie Siminoff went on ABC’s “Shark Tank” in hopes of raising $700,000 for his company, DoorBot. He thought it was worth $7 million. 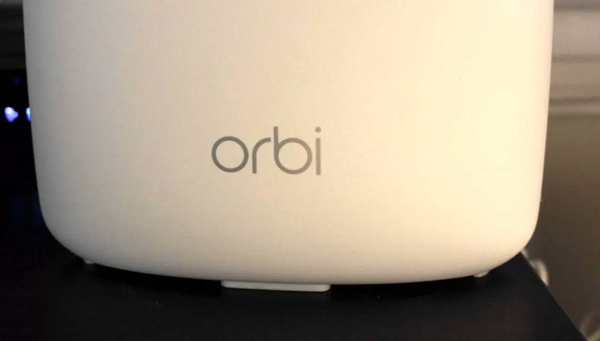 His company made a video doorbell that connected to your smartphone, so you could remotely see and talk to the person at the door through your mobile device. Wi-Fi is one of the most useful and important parts of using a computer and yet it's also one of the most frustrating. 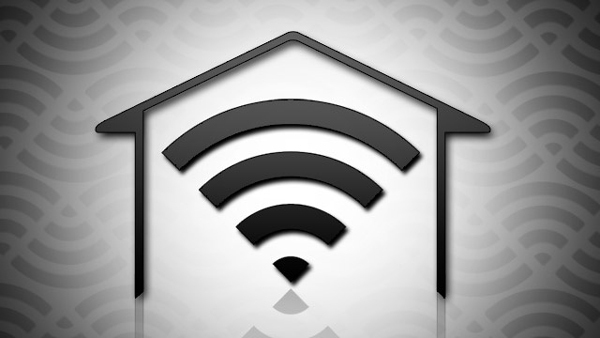 If you're plagued by slow speeds, bad reception, and other Wi-Fi issues, here are 10 ways you can power up the Wi-Fi in your home.